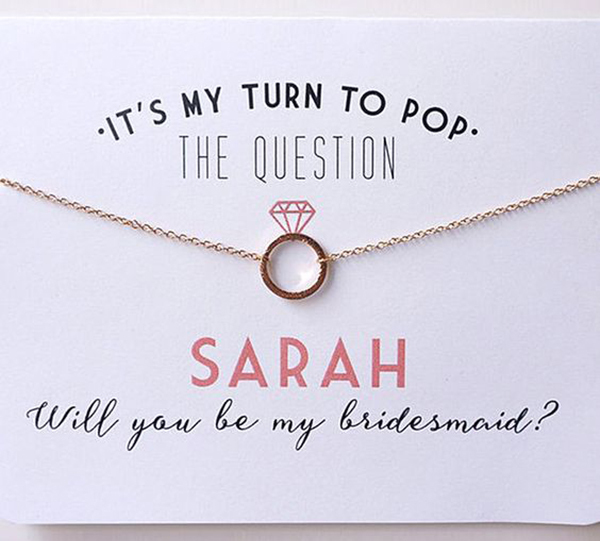 How do you ask your gal pals to be your bridesmaid? This might be one of the first questions you ask yourself after your honey has popped you the big question himself. 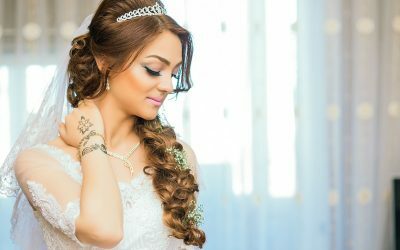 Because after you’ve said “yes!”, chances are, you’ve bought dozens of bridal magazines and have been scouring Pinterest for the dress. But who will you share all of your ideas with? Who will you want with you when you find the dream dress? Your bridal party of course, and that means deciding who your bridesmaids will be. Perhaps you’ve had your “list” for a long time, but how do you go about asking them? You definitely want it to be memorable! After all, this is a big moment and you only plan on doing this once. So let’s go ahead and get right down to it. How are you going to ask your best gal pals, the girls who have been with you through thick and thin, to be one of your bridesmaids? Well, you are in luck! We’ve got 8 oh-so-awesome ideas we can’t wait to share! Whether presented in a group setting, or individually, handing a little white box with a bow over to one of your bffs is a very sweet gesture. Even better when opened and it’s a necklace made with their name. At first, she may look a little confused as to why she is receiving such a sweet gift, but we are sure she’ll put two and two together, especially when you ask her if she’s doing anything on the date of your wedding. She’ll be jumping for joy, and every time she wears it, will be reminded of the special occasion. Speaking of using their name¦Perhaps you’ve planned a girl’s trip. Just a quick getaway for the weekend, and you’re holding onto a few more bags than expected. 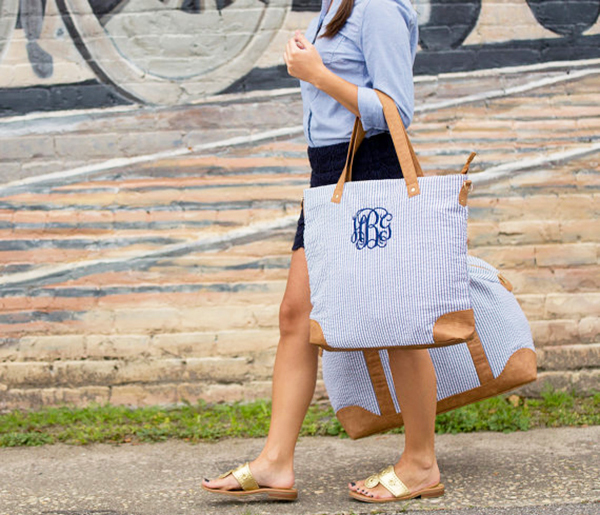 Everyone gets to the house and you whip out monogramed totes packed full of your girl trip necessities. If you’re going to the beach, pack beach essentials, i.e. sunscreen, a small bottle of Evian spray water, and the latest Cosmopolitan. If you’re in wine country, pack up a wine score card, a few granola bars, and maybe a little travel bottle of ibuprofen. Either way, and based off of whatever theme of little girl’s trip you choose, have a little card in there as well asking them to be your bridesmaid. 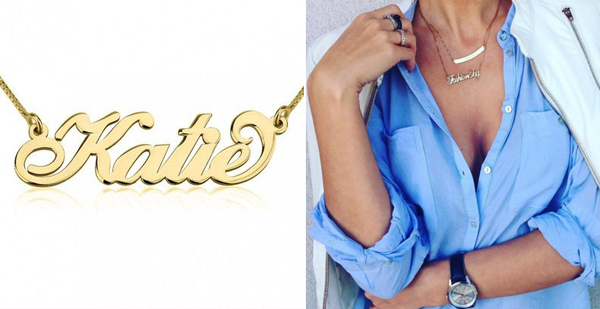 Your girls would be incredibly surprised, and now these totes have so much more meaning! That card that was put into the monogram tote or even attached to the little white box holding a necklace, can be one with a unique saying of your own and made on Etsy. For those of us who still put pictures up on the fridge, your bridesmaids will be able to put up their own sweet card, along with some darling words written by you, on their fridge for all to see. In today’s world, we might forget the power a thoughtful card has on us, and with this charming gesture, we are certainly reminded of it. Simple, sweet, and definitely tried and true. We are definitely lovers of coffee over here at Lulakate, and when popping the question to a friend if they’ll be a bridesmaid, coffee seems like a great idea. 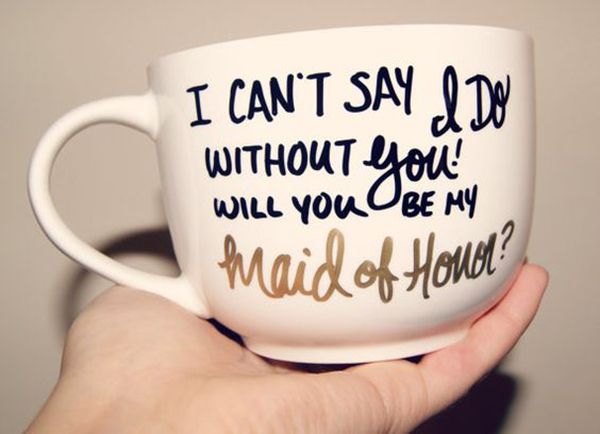 Meet your gal pal for a coffee, but while she isn’t looking, hand the barista your hand painted coffee cup with the words “I can’t say ‘I Do’ without you!” and when they call her name, she is totally blown away. It is known that memories can be shared by taking pictures. Our thought would be to have a double picture frame with only one picture of the two of you inserted, leaving the other frame empty. Why you ask? And we are hoping your gal pal asks this too. Handing a picture over to her, a look would come across her face, slightly confused as to why only one side is filled. This is when you get all giggly and ask if she’ll be one of your bridesmaids. Then, the other frame can be filled with this exact moment of her saying “duh, of course!” or of the two of you on the wedding day in your pretty dresses. Party time! Find a day when all the girls you want to ask to be your bridesmaid are available. Design and plan a special brunch for them posing as a fun girl’s brunch. 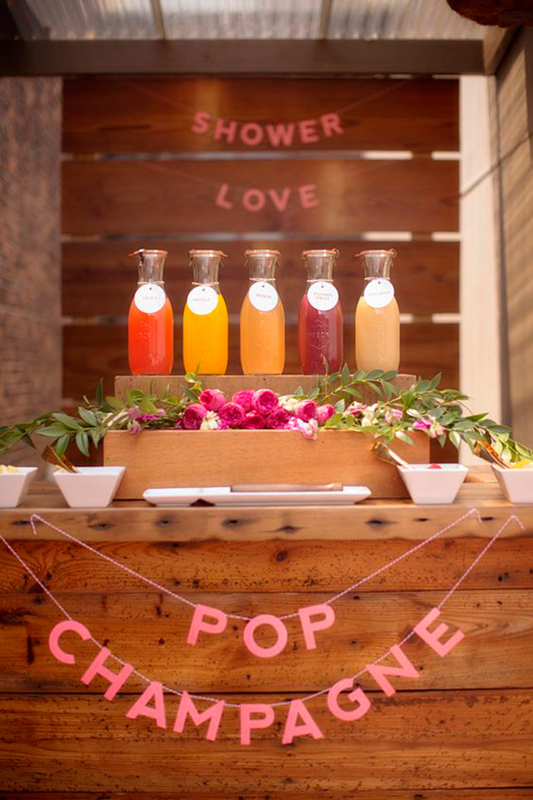 Can be at home in your backyard or in a restaurant, your choice, as long as you’re able to surprise them with a fully stocked mimosa bar! As everyone is getting to know each other and mingle with their mimosas in hand, have them sit down with a envelope with their names on their plate. 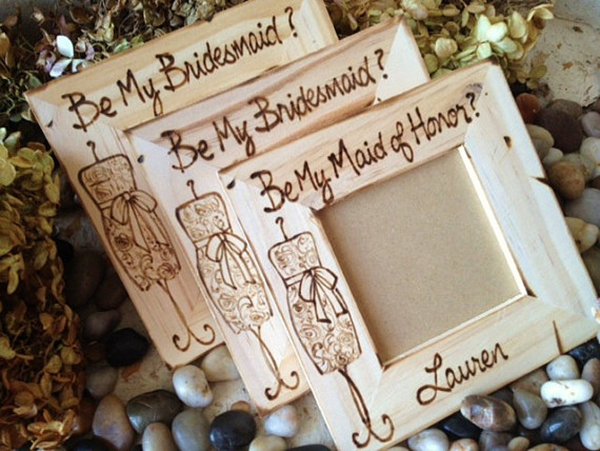 Ask them to open their “Will you be my bridesmaid” cards and continue the party with a cheers to your bridesmaids. A great way for everyone to get to know each other and start sharing what your ideas are for the big day. You see DIY boxes made for bridesmaids all the time, but this idea is super unique and fun. 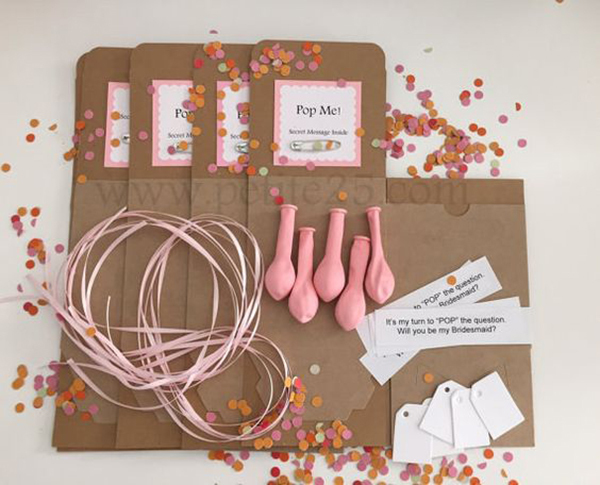 Definitely memorable, your future bridesmaid actually gets popped the question with this DIY Pop the Balloon Kit! Customize by choosing your colors and what you want your secret message to say. Very easy to make and quite inexpensive. Let’s get the party started with these custom labeled champagne bottles! Even if you’re just casually meeting up with your girl and hand her this bottle, you can still make it a special moment by sharing in the fun by having a glass of champagne to toast. She can then keep the bottle if she likes and perhaps use it as a flower vase. 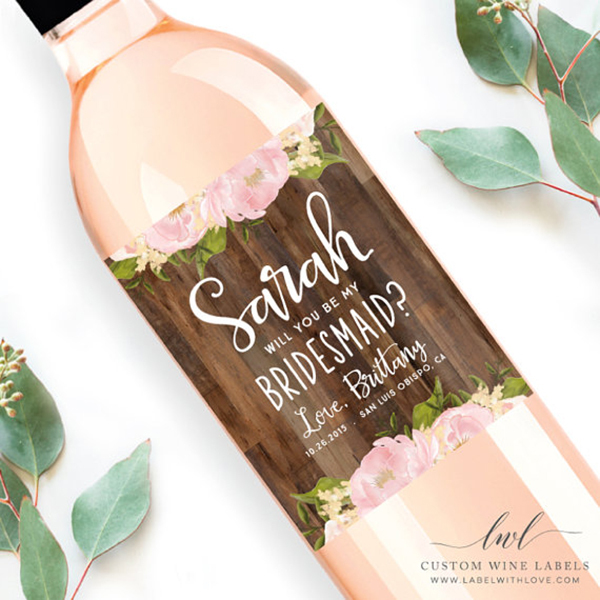 With all of these ideas, we are 100% sure, that whomever, and however, you ask your gal pals to be your bridesmaid, they will be grateful and so excited to participate in making all of your bridal dreams come true. We only hope to have inspired you to make this a special moment you and your bffs can treasure for many many years to come. Looking for a way to finance your honeymoon? Consider a Honeyfund honeymoon registry. 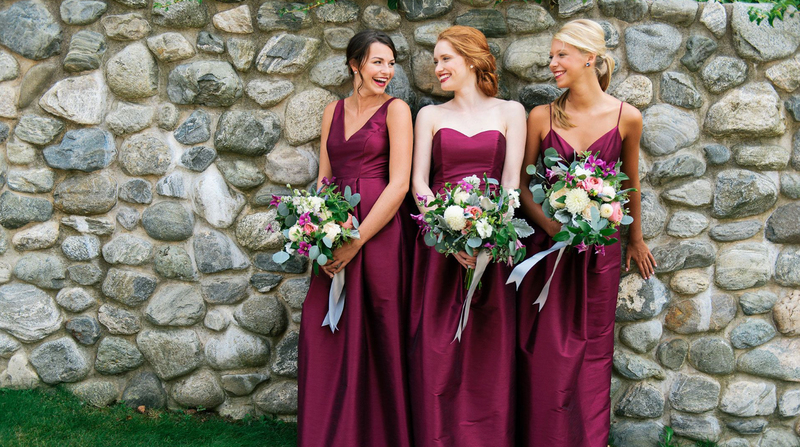 Bio: Lulakate is a bridesmaid brand with a modern twist on classic styles. Made in the USA, we are founded by Katherine McDonald, owner and founder of our big sister, Kate McDonald Bridal. We believe in love, happiness, and lots of color. It’s not about following the trend, but establishing the new classic. It’s about dressing your best friends in something happy. It’s about being surrounded by love and friendship on your wedding day. It’s about finding the perfect bridesmaid dress. 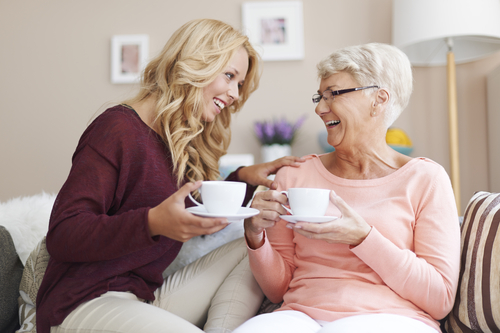 Why You Need a Traditional Registry â€“ donâ€™t forget Grandma! People gifting through online registries has become the norm. 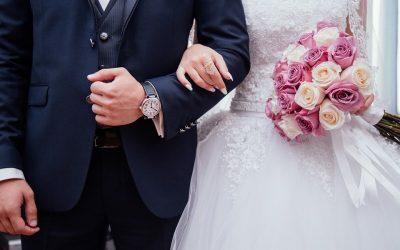 So why would you want to include a traditional registry if you already have your honeyfund set up? For those who just do not get it (hello, Grandma! ), here’s the BEST thing to do: Include BOTH. 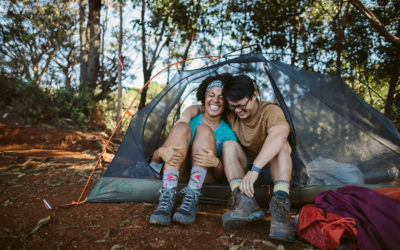 Traditional registries like Macy’s offer a broad mix of fun and everyday gifts AND items for your honeymoon! Sure, a new Kitchen Aid Mixer and some dinnerware will come in handy, but Macy’s also has some cool new luggage for your honeymoon? In addition to making Grandma happy, you’ll also receive 10% off remaining registry items for 90 days post-wedding. And, for everything you buy with your card, you’ll receive 10% of the purchase price in rewards dollars, and for everything your guests buy off the registry, you’ll receive 5% of the purchase price in rewards dollars. It’s a win-win! So, how do you decide which registry type is right for you? Find out by taking our Registry Style Quiz HERE!